Orphans of the Storm® made sure that plenty of dogs (and cats!) had a Valentine this year, but there are plenty more still waiting at the shelter for that perfect someone! 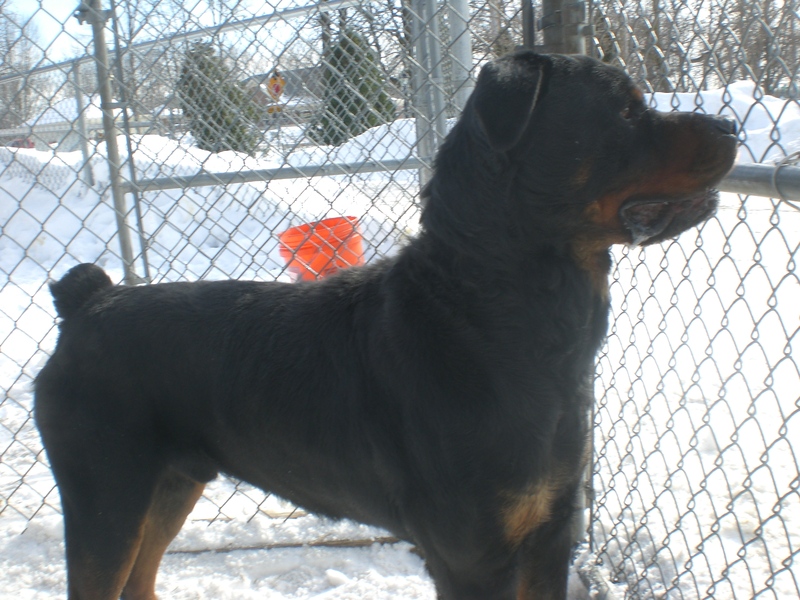 Alcon the four-year-old Rottweiler mix is one big, beautiful, gentle dog. He greets everybody who comes by his kennel with a lick on the hand, and when it’s time to put his leash on he just lies down and waits patiently. Alcon walked very nicely on the leash and that little stub of a tail was wagging almost constantly. 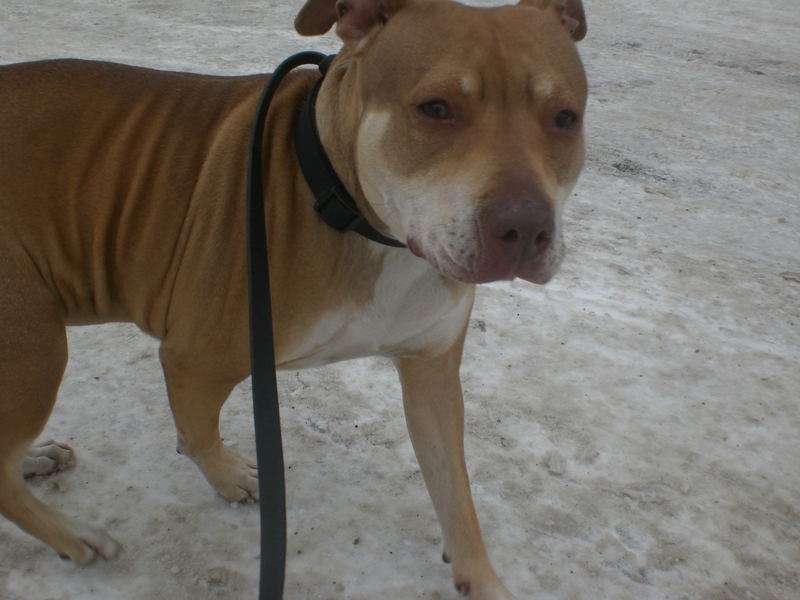 Alcon (listed as Alan on the website) had a great time playing in the snow. He gets pretty excited when other dogs are nearby, but he’s very calm and super sweet with people. Alcon could certainly gain a few pounds, so if you’re the lucky person who brings him home, feel free to spoil him with lots of treats! He certainly deserves it. 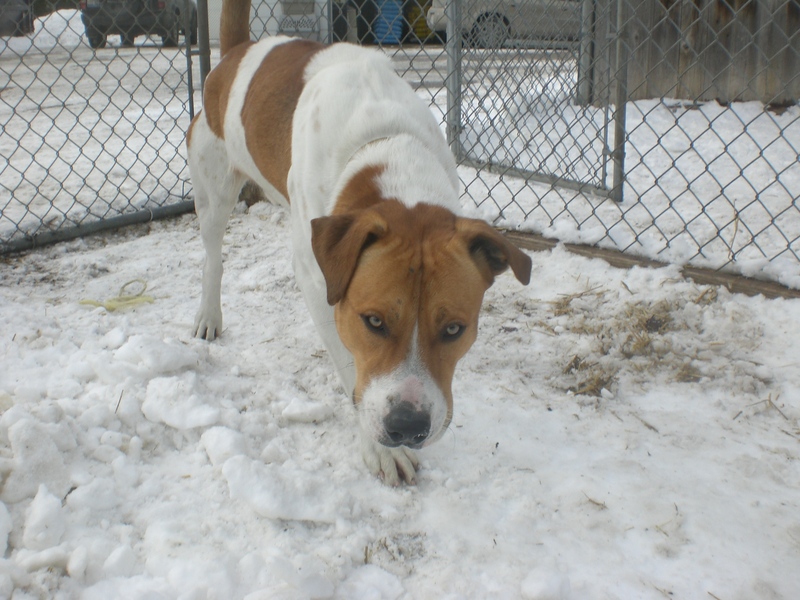 If you’re looking for a big pooch with a heart of gold, come in soon to meet Alcon! 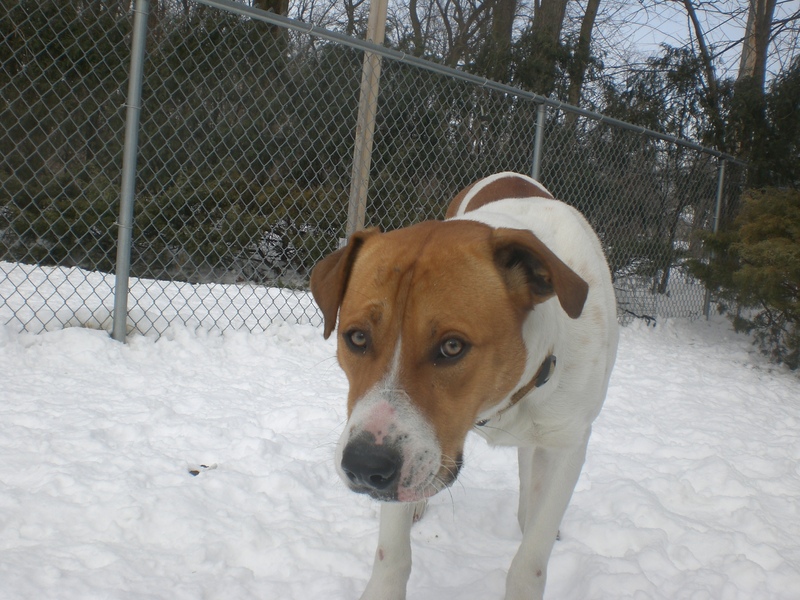 Buck the one-year-old Hound mix is the type who gets along with anybody and everybody. He was sharing his kennel with another dog who has since been adopted, and he was very friendly with Corky on the other side of the fence while we were in the off-leash run (they even look like brothers! ), so he could go to a home with or without another dog. Buck has such pretty, loving eyes! Buck is great with people, too. He is very affectionate and loves to be showered with attention. 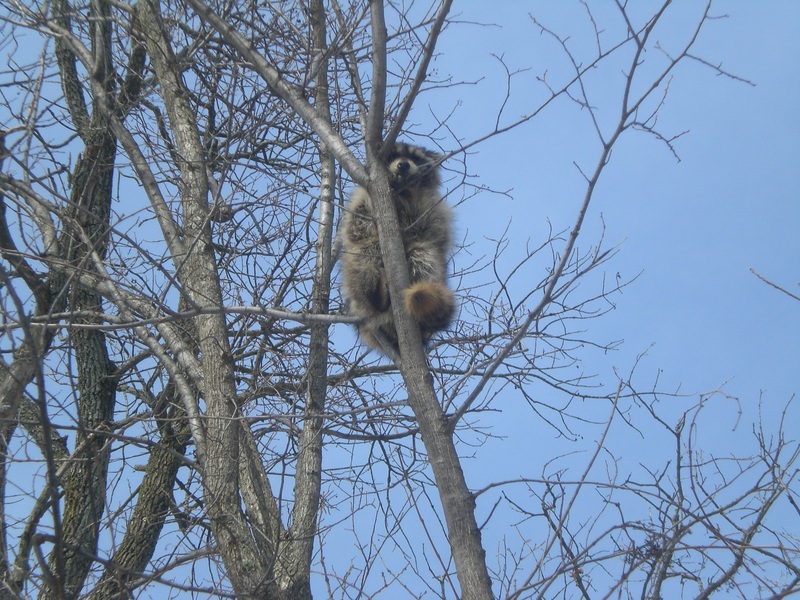 He especially seemed to enjoy a good scratch on the hips. Buck took treats extremely gently from my hand and waited patiently for seconds–no jumping or barking or anything like that. You can tell just by looking at his big brown eyes that Buck is full of love and can’t wait to share it with a new family. Stop by the shelter soon to meet Buck! 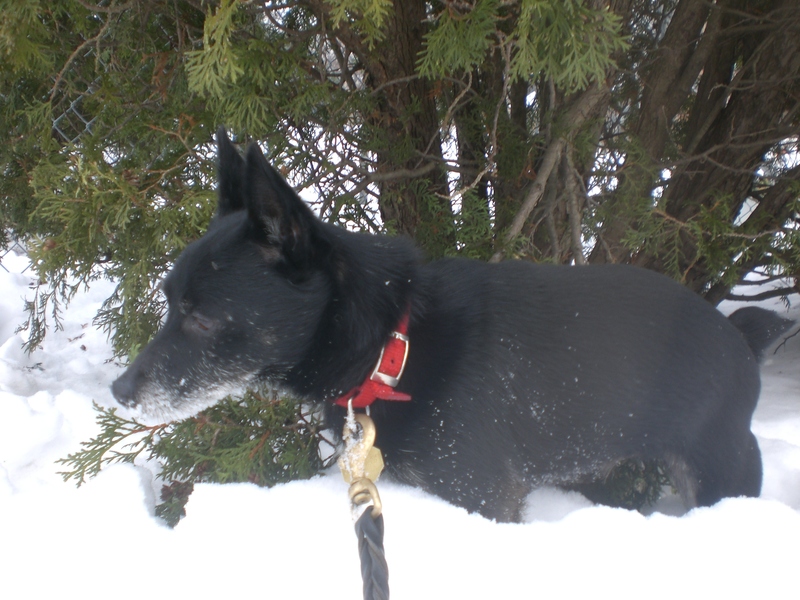 Blackie the ten-year-old Schipperke mix is another older dog who believes that age is just a number. For a dog his size, ten isn’t even that old (though Blackie does have a little gray on his face). Even though Blackie has little legs, they sure can move quickly when he wants! 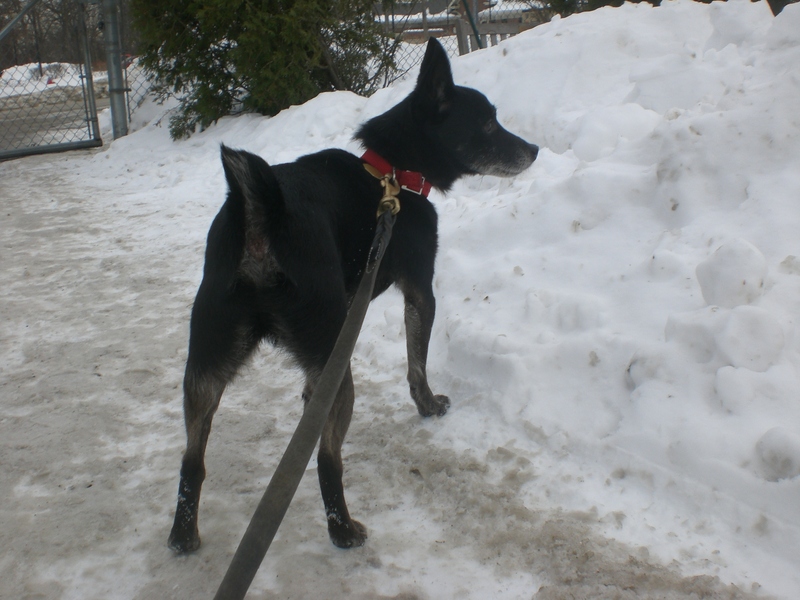 He was a great leash-walking buddy, though, and enjoyed sticking his nose into the piles of snow to find a fun scent. Blackie had no problems being picked up, held, and carried. He stayed in my arms very nicely, and was probably thankful to not have to walk in the salt! This little guy is the perfect lapdog size. Blackie currently has a kennelmate, so he’s another pooch who could go to a home with or without another dog. If you’re considering an older dog who is just looking for companionship, look no further than Blackie! Dezzie the five-year-old Pit Bull Terrier mix will make you smile as soon as you see her, because she is wearing a constant smile herself! I’ve never seen such a perfect doggy grin before. Dezzie’s looks fit her personality, because she is one happy dog who would be even happier in a home of her own. 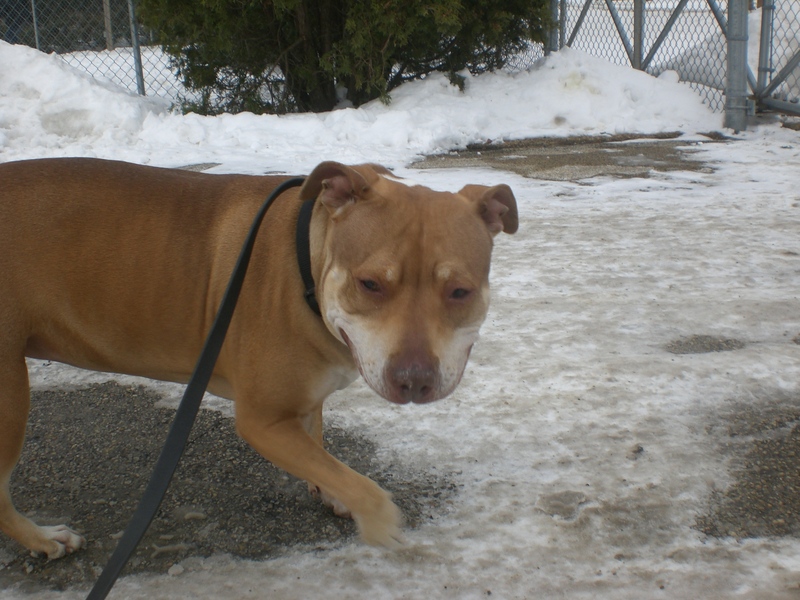 Dezzie knows how to walk nicely on the leash and would enjoy going on walks around her new neighborhood. Does Dezzie have the best doggy grin or what? Dezzie came from an owner who had to move and couldn’t bring Dezzie, so we know that she has plenty of experience as a pet and knows how to behave in a home. She’s a sweet girl who will kindly rub her nose on your face, which I took to be a precursor to doggy kisses. As far as Dezzie is concerned, any spot is the right spot for petting. Give Dezzie even more of a reason to smile by giving her a second chance at a forever home! Dezzie has great looks and a great personality! Lucky for him, I didn’t walk any Coonhounds this week! Posted by Meet the Pooches on February 20, 2014 in Dog Profiles and tagged adopt, adoption, animal shelter, animals, Chicago, dogs, Hound, Orphans of the Storm, pets, Pit Bull Terrier, raccoon, Rottweiler, Schipperke.